Boston punks The Explosion originally broke up in 2007 but they’ve reunited a few times since then. Their last show was opening for The Bouncing Souls in Asbury Park this past summer, and they recently announced that they’d return to Asbury Park for Punk Rock Bowling this June. They play day one (6/10) with The Specials, Dillinger Four, and more (tickets). The Explosion are also playing a couple club shows around that fest with fellow Jade Tree band Dark Blue. There’s a sold-out Philly show on June 9 and a just-added Brooklyn show on June 8 at Saint Vitus. In addition to Dark Blue, that show’s also with Subcults. Tickets go on sale Tuesday (3/21) at noon. 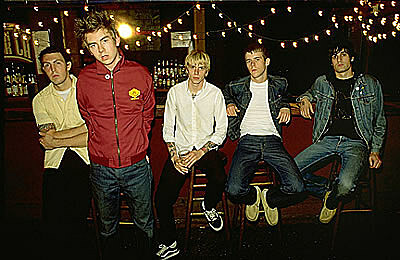 All known dates are listed, with a stream of their 2000 debut Flash Flash Flash, below.